Happy Secular Spring Holiday Day! Enjoy it by filling out your votes for the last matchups of the Second Round! Go to the March Crapness tab for the full rundown, up-to-date bracket and schedule. Read the introduction to March Crapness here. Follow us on Facebook and Twitter for updates. Tweet about March Crapness using the hashtag #crapness. We've written about this car before, but it stands as one of the few crapcan testaments to Ford's Fox platform. The Cougar is blindingly fast and shockingly reliable, if nothing else. And if it's anything else, that something else is ugly. Extremely ugly. 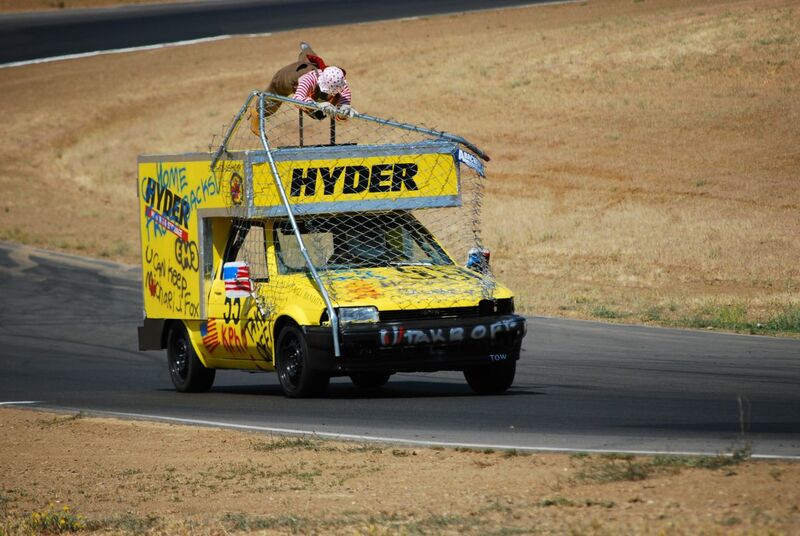 But looks don't win races, after all, and this car does. V8 Powaaaaaa! 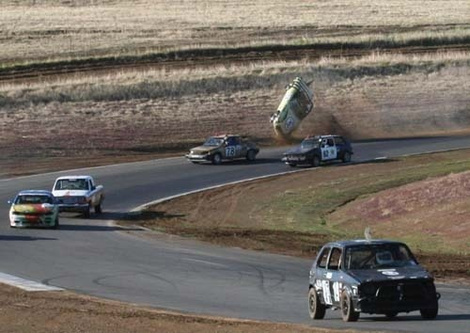 We hope more teams follow this example and bring Cougars and Fox-Body Lincolns to crapcan races. 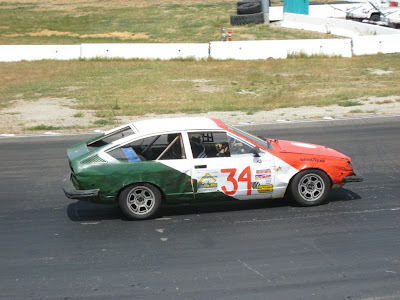 Traveling across the country to race in crapcans is something many teams and drivers wish to do, but Anton Lovett has done it regularly since carting the One Night Stand Endurance Team (ONSET) Chevy Cavalier wagon from his home state of California to the Detroit race in 2007, bringing home an Index of Effluency. ONSET eventually went away, but Lovett has continued to drive with other teams since, earning two National Drivers' Championships and a substantial LeMons hardware collection along the way while driving dozens of absolutely wretched and insane entries. 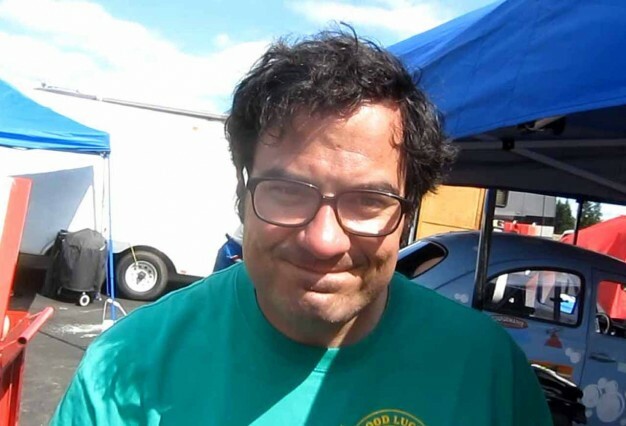 He's been part of far too many Indexes of Effluency to count, but he did win a Heroic Fix trophy for himself by helping two teams make major repairs in the same weekend. Resume: There's at least a 50 percent chanced Lovett has driven or fixed your car. We were once told that some LeMons race officials refer to this crew by an unflattering (to some anyway, but not to the Sensory Assualt crew) nickname. When uttered, everyone in race headquarters knows exactly who is being discussed. Sensory Assault are so named not only because the ear-splitting noise of their Mazda RX-7 is pervasive and painful, but also because they do crazy things on the drag strip and used the super-hot Wankel exhaust to smoke meat and later used coolant lines to run a still. The still-equipped-as-such RX-7 took home an Index of Effluency, as did the team's second entry--a Mazda RX-2 rescued from a collapsed barn that has since met an unfortunate end. In their latest incarnation, the Bandits raise money for charity with their Rockstar Toyota Supra while hanging out scantily clad in the paddock area (At your own risk, see an example here.). It's a sight to behold, but the four-time Organizer's Choice winners have exhibited a great spirit for excellent themes, from the Oscar Meyer Wienermobile replica to a tribute to Tiger Woods' fidelity issues to the border-crashing Canadian-trafficking "box truck" and complementary Border Patrol car. This team's passion for ridiculousness may be unparalleled in the crapcan world. We can't have a list of crapcans without including the car that became a favorite of ours through crapcan racing: the Alfa Romeo GTV6 (which we first fell in love with after seeing and especially hearing Corsa Nostra's unmuffled V6 at Gingerman in 2010). 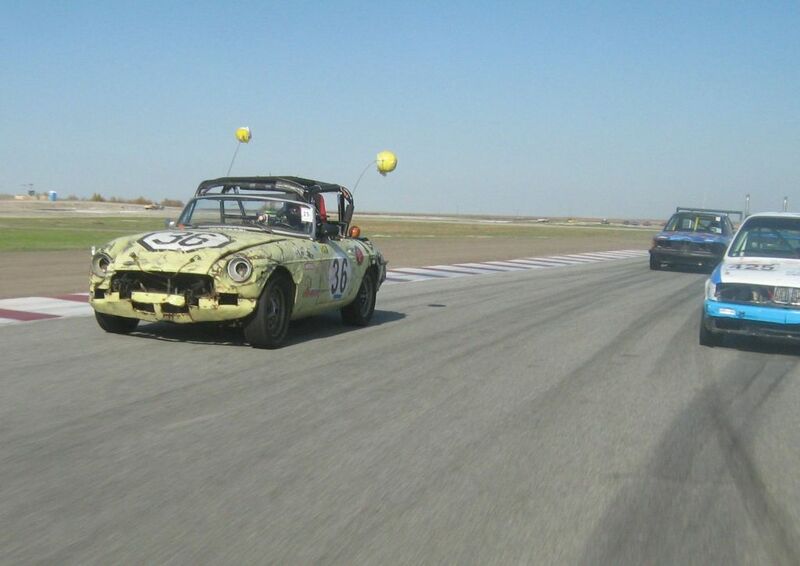 California Mille have campaigned their Alfetta(s) on the West Coast since the series' second race at Altamont in 2007 and finished in the Top 10 regularly. 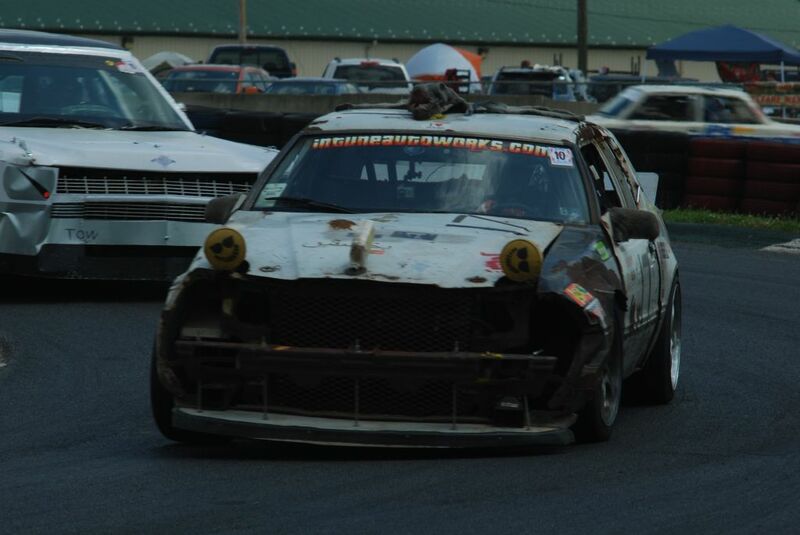 However, they didn't get over that last hurdle for an overall win until September 2012 with a win at The Ridge Motorsports Park. Team Petty Cash may have never won a race outright, but they're one of the best-known and most respected teams. And they race a freaking Jeep Cherokee on road courses. They've earned an Index of Effluency award for their troubles and also taken home a very messy I Got Screwed trophy from an unfortunate incident involving poor pre-stint food choices (Red Vines are not great for endurance racing, believe it or not). The team also runs a Jeep at King of Hammers, which is awesome. 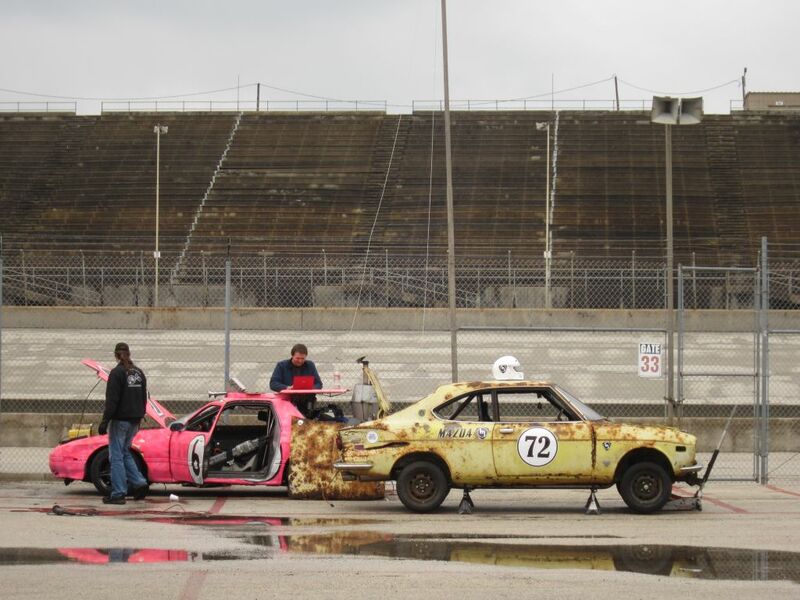 What can you say about Pete Peterson's weary old MGB? 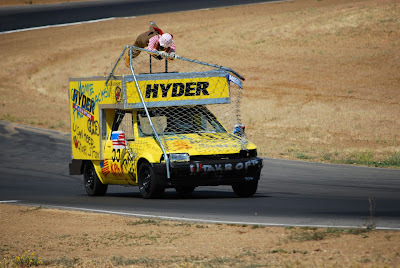 It famously flipped but was rescued by Peterson's magic hammer and has since gone on to win Index of Effluency and Class C at separate races. 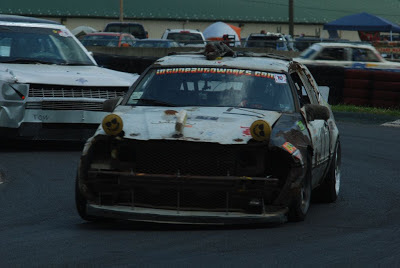 His ZomBee also earned the 2011 Hooniverse Car of the Year award. The best part is...well, there are a lot of best parts: The car is Peterson's daily driver, the motor is borrowed, its tow/pit support vehicle is a crappy RV named Brownie, Peterson has driven the MG more than 900 miles to race it and--perhaps most frighteningly--it's a British car that runs most of the time. 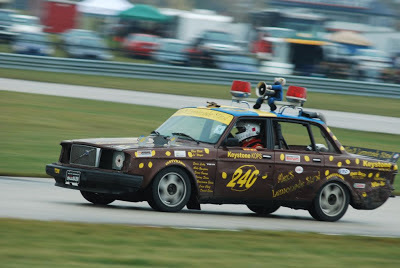 We haven't scoured through the numbers to back it up, but the Keystone Kops turbo Volvo 240 has probably run more races than any other crapcan. 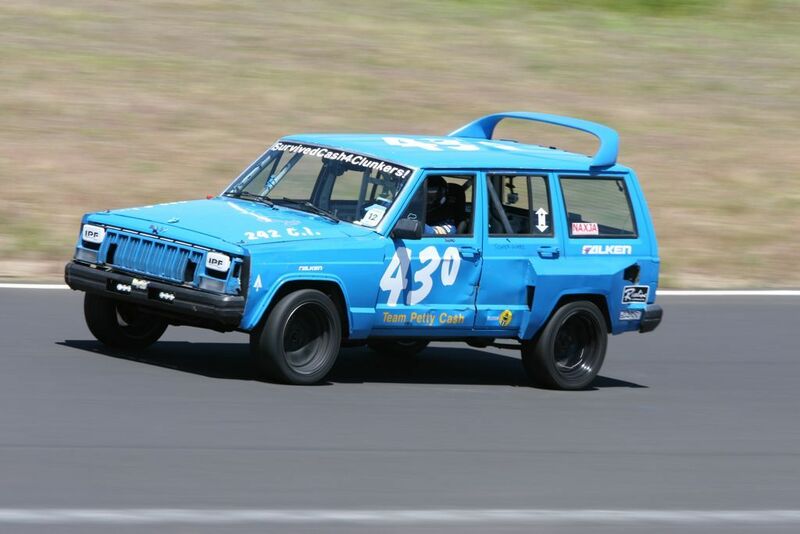 The team, run with at least some token help from some people at Volvo North America, also run a V8-swapped 240. They've come just short of winning on several occasions and are a good bet to be the first stock-engined Volvo to win a race. The team also uses the races as an opportunity to raise funds for the Alex's Lemonade Stand charity. March Crapness: Behold the Bracket! March Crapness: Welcome to the crap!